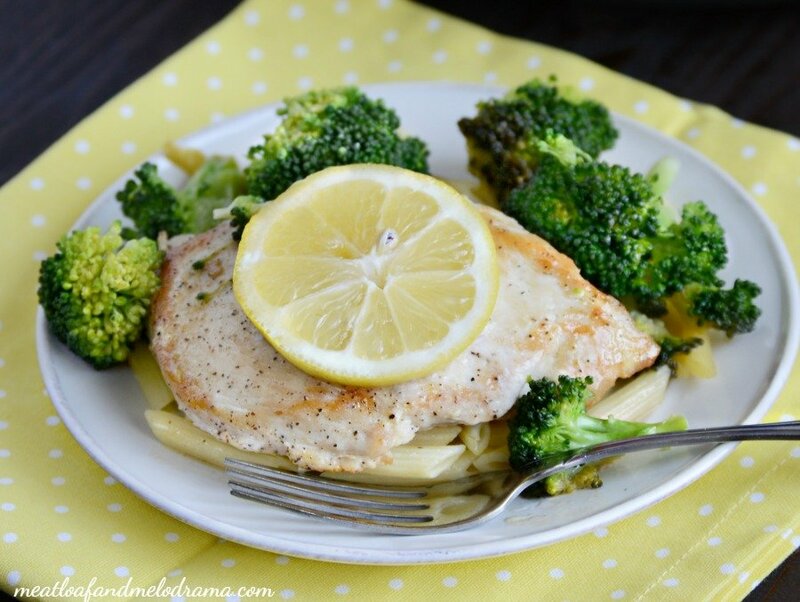 Skillet lemon chicken and broccoli is super easy to make and has tons of flavor. Plus, it’s made in just one pan for super quick cleanup! We eat a ton of chicken around here. 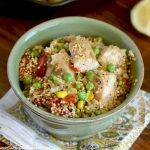 Everyone in the family loves it, and since there are probably a million ways to cook chicken, it never gets old — lucky for me and my picky kiddos! To save money, we stock up on chicken breasts when they’re on sale. We slice some some of them in half so that they’re nice and thin, and then we place them in a single layer in a zip-top freezer bag and freeze them for later. 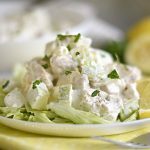 Since they’re sliced thin, they don’t take long to cook, which is perfect for making quick and easy dinners! I also leave some chicken uncut before freezing, and this is what I use for Crock-Pot cooking. More on that later! Anyway, one of my favorite quick and easy meals is lemon chicken. Sometimes, I’ll bake a bunch so that we have plenty for leftovers. 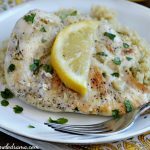 But if it’s one of those crazy, buzy days, and I really need to have dinner ready in hurry, I’ll make skillet lemon chicken. It’s ready in less than 30 minutes, and you can even add broccoli to the skillet so that it all cooks in one pan — easy, peasy cleanup! Just add some cooked pasta, quinoa or rice, and you’ve got an entire meal. Dinner is served! 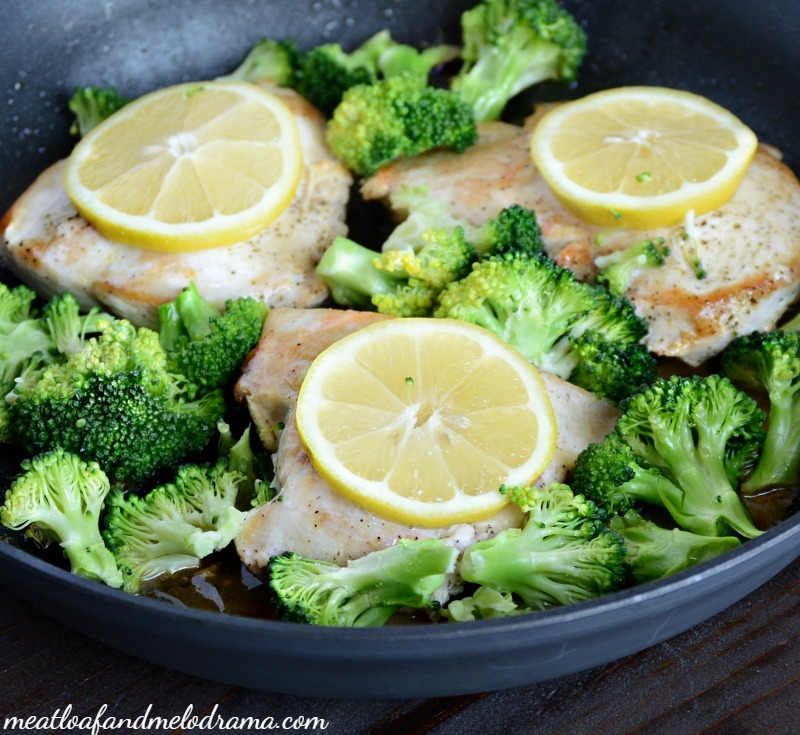 Easy lemon chicken and broccoli cooked in one pan for super easy cleanup! 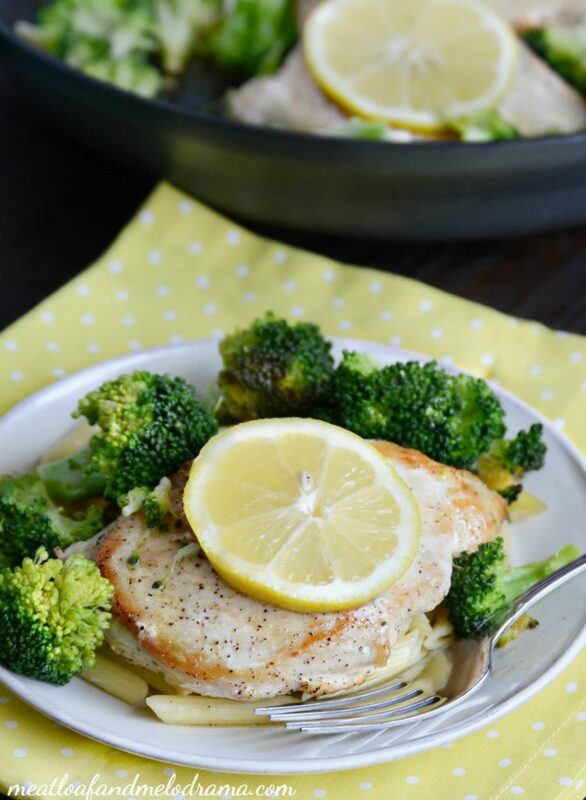 This skillet lemon chicken and broccoli is one of those recipes that you can easily adapt to your own tastes. You can add more or less salt and pepper, omit the ginger — whatever tastes good. It makes a light sauce, which is perfect, at least for me. If you want more sauce, just add extra olive oil, butter or maybe even some white wine — yum! If you really want to be good, you can eat the chicken and broccoli as is. My kids like pasta or quinoa, so I’ll usually add one of those as a base. Rice would be great too. Whatever you choose, you can’t beat a meal that takes less than 30 minutes to make! This sounds good, Dee! 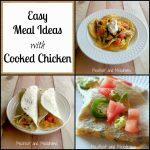 We eat lots of chicken, too, so I’m always looking to add to my chicken recipe arsenal! Looks like a great dinner. I haven’t had Lemon Chicken in awhile. 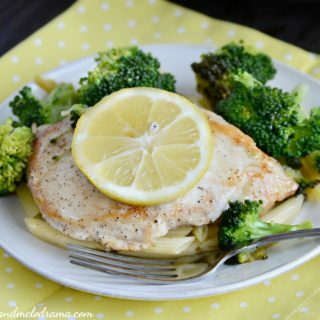 Thanks for the recipe.Thanks for linking up to Merry Monday! Sharing on ! Have a great week!